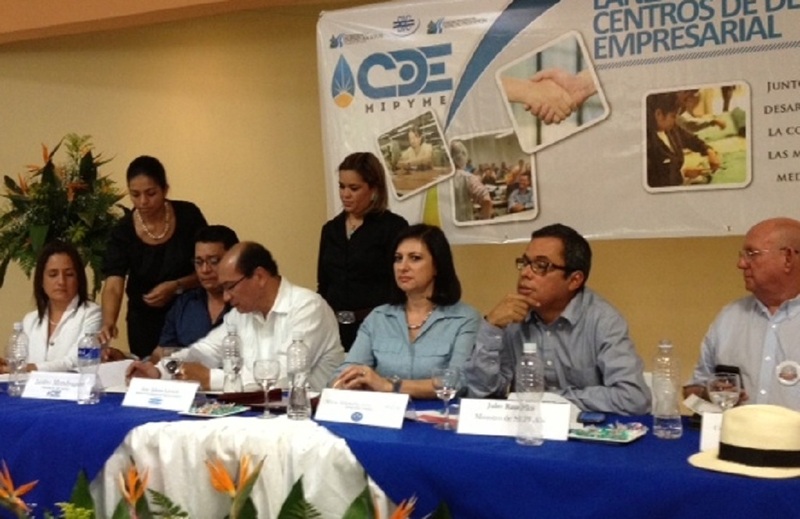 On May 16, the Presidential Appointee, holders of the Ministry of Industry and Commerce (SIC) and the Ministry of Planning and External Cooperation (SEPLAN) of Honduras, authorities of the Regional Centre for the Promotion of MSMEs (CENPROMYPE ), the HED of USAID and the University of Texas at San Antonio (UTSA) launched the first Enterprise Development Centre for MSMEs (CDEMIPYME) in Choluteca, which will serve the Gulf of Fonseca. During the event, Ms. Ingrid Figueroa, Executive Director of CENPROMYPE appreciated the efforts and commitment of the Honduran Government to join this regional initiative that aims to bring a model of care that is based MSME sector in public- private-academia. He said that at present, the region has 16 SICA and Care Centres MSME under the SBDC model and expected, later this year, have at least 25 operating centers. Business Development Centers (CDE-MSME) will provide technical assistance, market intelligence and business training. The Centers will be located in the Valle de Sula, Santa Rosa de Copan, Olancho Valley, Valley Aguán, Francisco Morazán, Comayagua and Gulf of Fonseca. In the latter, it is estimated that this year will be attended around 387 companies, which will contribute to increasing the competitiveness of MSMEs. The SBDC model is the main source of technical and administrative assistance for micro and small businesses in the United States and its mission is to promote growth, innovation, productivity and profitability of small businesses through management improvements business. Just as in the U.S., is expected that the implementation of this model has a positive impact on the development of business in Honduras and the rest of the region SICA. With the implementation of this model is also expected to be part of the Network of Centres MSME Care, which will connect the Central American countries and with the international market, thus benefiting not only the MSME sector, but also economic growth of the country and the region.